Print clear, legible wash care and textile labels on demand using the Cab textile label printer range. 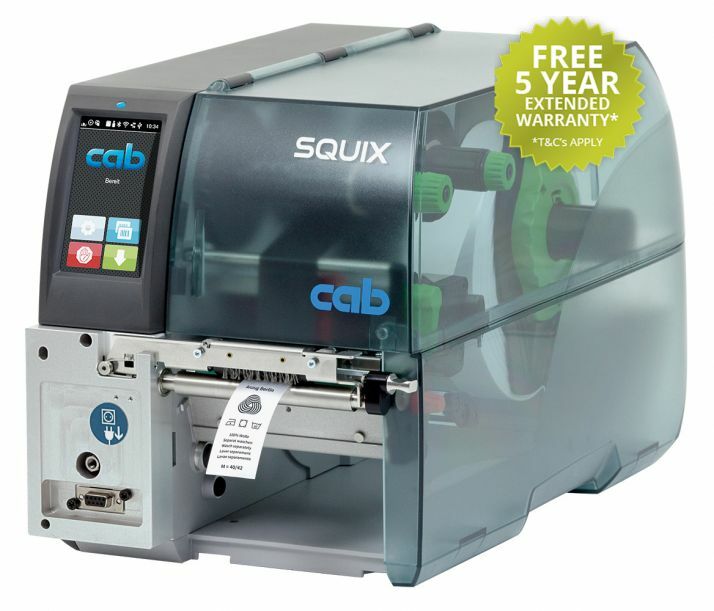 The SQUIX MT is Cab’s updated replacement for the A+T label printer. It provides single-colour, single-sided label printing, suitable for a range of industrial applications. It uses innovative technology for fast, reliable printing, combined with a robust, compact design and an easy to use interface. The XD4T label printer offers double-sided textile printing, using dual head technology to ensure accurate, one-pass printing. This reduces the cost of consumables in the production of anti-fray, sew-in labels. Labfax also stocks a wide range of wash care garment labels for use with the Cab range of printers.